F.R. Aleman & Associates, Inc. (FRA) was established in 1987 and has become a well-respected, technology driven, consulting engineering and geospatial firm, dedicated to providing professional services and solutions to our clients. FRA is certified as a Disadvantaged Business Enterprise (DBE) and Minority Business Enterprise (MBE) with the State of Florida. 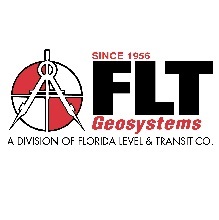 The firm’s expertise spans the areas of geomatics/surveying and mapping; subsurface utility engineering (SUE); utility coordination; roadway design; traffic engineering/operations studies and design; intelligent transportation systems (ITS) analysis design and implementation; project development and environmental studies; construction engineering and inspection; and planning. Headquartered in Miami, FRA has offices across the State of Florida, with over 70 professionals. At FRA, our corporate vision is to institute a culture of Total Quality Management. To provide our clients with the highest level of quality, our employees take full responsibility on a corporate level. This methodology has been the driving force behind our success. Valuing the commitment, knowledge, innovation, and creativity of the professionals at FRA, along with their ability to contribute to the constant improvement of our services, enables us to consistently exceed our clients’ expectations. Our commitment to going the extra mile is unsurpassed and is evidenced by the quality and timeliness of our work and the relationships our corporation has built for the past 32 years. Looking for a talented Project Surveyor for a top notch geospatial and engineering company known for continuously setting the bar for quality and customer service. The Project Surveyor will use independent judgment to manage projects and oversee preparation of survey and subsurface utility engineering related deliverables. The Project Surveyor will be an innovator by continuously implement the latest technology in order for the firm to maintain a competitive advantage within the market place. •Direct or conduct various types of surveying including boundary, topographic, ALTA/ACSM, right-of-way, 3D LiDAR, hydrographic, platting, GPS, GIS, subdivisions, stakeouts, SUE, etc. •Perform various survey calculations, measurements, and analysis for assignments. •Interpret and verify the accuracy of survey data including measurements and calculations. •Prepare or supervise preparation of all survey data, charts, plots, maps, records, and documents related to surveys. •Search legal records, survey records, and land titles to obtain property information. •Write descriptions of surveys for use in deeds, leases, or other legal documents. •Prepare maps, sketches, and legal descriptions for assignments. •Perform quality control/quality assurance reviews to ensure technical accuracy and thoroughness of survey findings, results and recommendations. •Compile/reduce field crew data (point files) and convert all applicable information into electronically generated drawings using 3D CADD software with accuracy, neatness and speed. •Compute horizontal and vertical positions of buildings, streets, curbs, etc. for stake-outs. •Check record plats for completeness and accuracy prior to submitting for review. •Ability to perform a variety of computations for traverse, record plats, boundary surveys, construction stake-outs, horizontal control, etc. •Demonstrate thorough knowledge of the most advanced and complex survey methodologies. •Perform field layout on complex or large sites, conduct research and renew client and government records, and address more difficult site measurements. •Review field notes, daily records, and data/results received from surveying staff. •Create survey drawings for Record of Survey plats, Right-of-Way (ROW) plans/designs. •Sign and seal survey drawings. •Manage staff and assist the Survey Director with the development of the department. •Assist with the monitoring of resource planning on projects and continually review project financials. •Assist with proposals, marketing, project reports and technical presentations. •Attend various meetings, seminars, and/or training classes. •Maintain excellent client relations and constant communication to ensure satisfaction through the completion of each project. •Perform other duties, as needed. 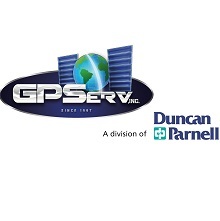 •Must have a Registered Professional Surveyor and Mapper (PSM) license. •Three (3) to five (5) years of experience. •Bachelor’s Degree from an accredited university. •Knowledge of general survey principles and commonly used concepts, practices, and procedures. •Experience working with the Florida Department of Transportation (FDOT) is a plus. •Experience working with Miami-Dade County is a plus. •Knowledge and interpretation of technical protocols and standards required by applicable Florida Statutes and Administrative Codes. •Must be well organized, able to meet deadlines, and deal with clients in a professional manner. •Ability to direct highly complex and specialized transportation projects. 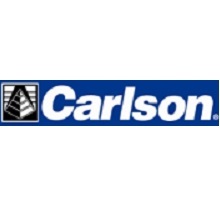 •Must be proficient in Auto CADD/GIS, TopoDOT, MicroStation, and SS4. •Knowledge of Leica Infinity and Open Roads is a plus. •Knowledge of Unmanned Aircraft Systems (UAS) is a plus. •Must have the ability to move freely over rough terrain at various construction sites. •May occasionally be required to work in the evenings. •Must be legally authorized to work permanently (i.e., without time limitations, without restrictions, or without need for work sponsorship) in the United States. •Bi-lingual (Spanish and English) preferred. •Requires a pre-employment drug screen and will require ongoing participation in the employer's drug and alcohol policy. FRA offers a competitive benefits package including medical, dental, vision, flexible spending accounts, and ancillary coverages; healthcare spending or reimbursement accounts (i.e., Health FSA and Dependent Care SA); paid time off (PTO) and holidays; tuition reimbursement for approved coursework; employer-paid license renewals; employer-matching 401K plan; employee discount program (i.e., gym memberships, computers, movie tickets, etc. ); and flexible work schedules. The physical demands described here are representative of those that must be met by an employee to successfully perform the essential functions of this job.The candidate may be required to walk long distances and be on their feet for extended periods of time (i.e., field visits). Occasional travel may be required (i.e., extended rides in a vehicle, airplane flights, etc.). The candidate must be able to occasionally lift/move heavy objects (i.e., upwards of 25 pounds). Specific vision abilities required by this job include close vision, distance vision, color vision and ability to adjust focus. Please note this job description is not designed to cover or contain a comprehensive listing of activities, duties, or responsibilities that are required of the candidate for this job. Duties, responsibilities, and activities may change at any time with or without notice. F.R. Aleman & Associates, Inc. provides equal employment opportunity to all individuals regardless of their race, color, creed, religion, gender, age, sexual orientation, national origin, disability, veteran status, or any other characteristic protected by state, federal, or local law.